Welcome to the cocktail bar “Tirbouson” in Marianna hotel. 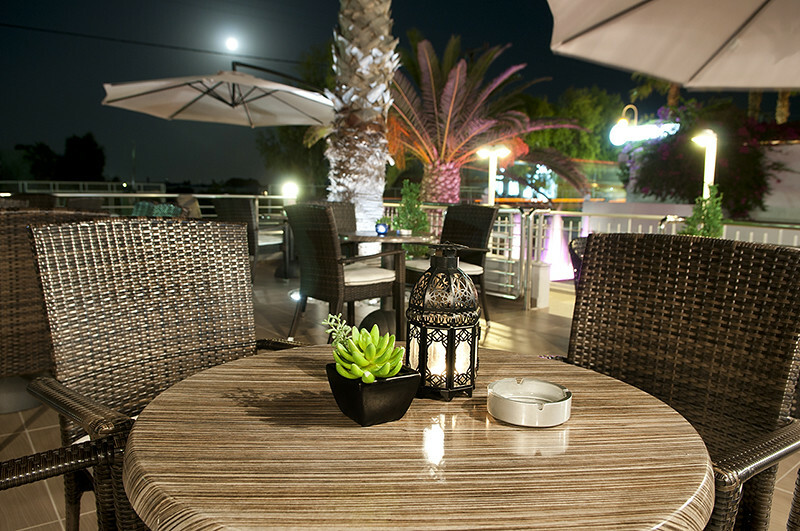 It is a classic stylish place that operates from early in the evening till late at night. Let yourself surrender in the charm of a tasteful cocktail that you’ ll wish will never end. Relax at the comfortable coaches, with the back to time music, the colors and the sound of the water. In the afternoon the place is filled with the colors of the sunset, which you can capture with your camera. 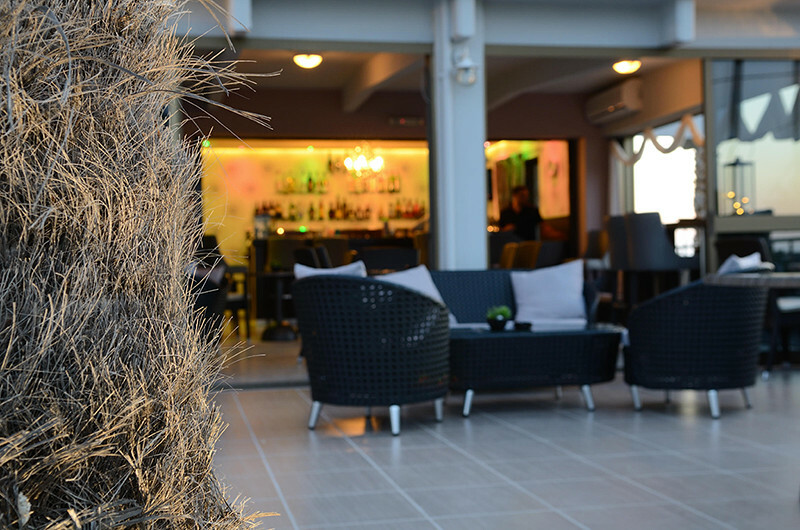 Enjoy your aperitif, coffee or beer, gazing at the sea, watching our fountain, just before dinner time. 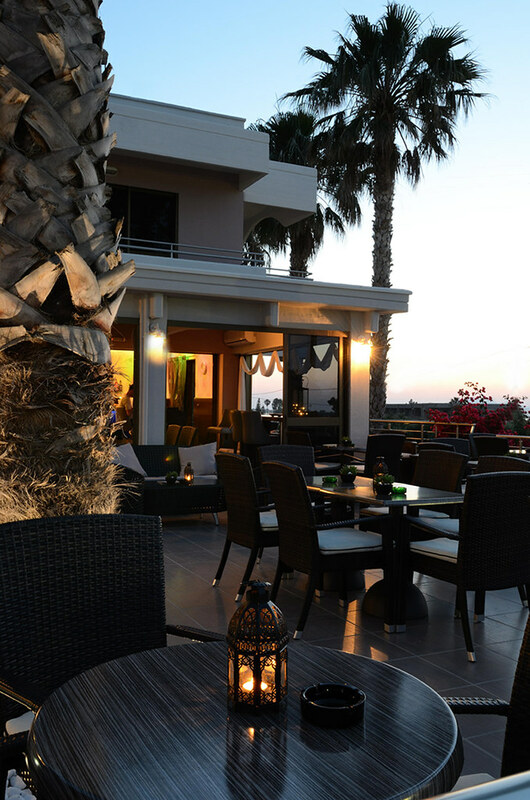 Later at night, take your friends that you will surely make here, as the climate is always friendly, and enjoy summer nights of dancing and partying or chilling and talking. 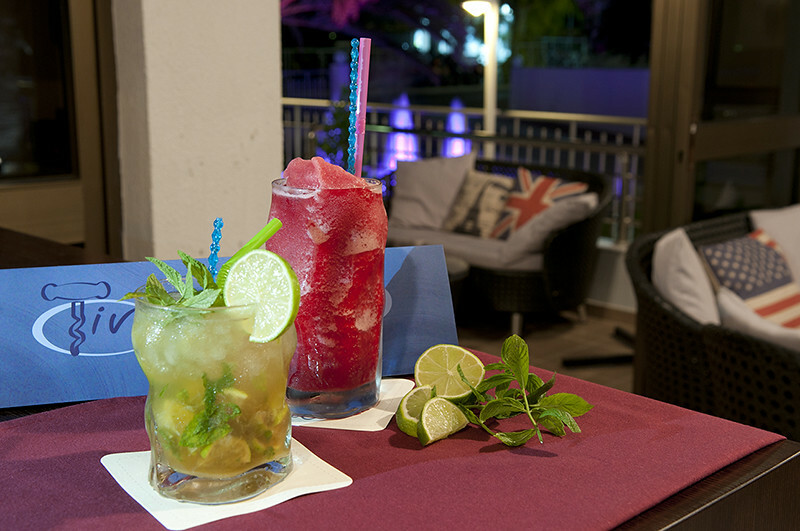 Do not omit to try our refreshing cocktails, get drunk only by the smell of the fresh lime and the mint of the mojitos, right from our garden, enjoy the refreshing color of the strawberry, the pineapple and the peach by ordering a strawberry daiquiri, a pina colada or a belini and satisfy your thirst and your senses. We aim to make the nights of your vacations unforgettable. This page took 0.031064987182617 seconds to load.